Soprano Ruth Sammut Casingena will be presenting a selection of her favourite arias during a lunchtime concert at St Augustine Monastery in Valletta tomorrow at noon. She will sing one of the world’s favourite arias, O Mio Babbino Caro, which is an excerpt from Giacomo Puccini’s short opera Gianni Schicchi, followed by another great classic by the same composer, Quando m’en vo from the opera La Boheme, among others. 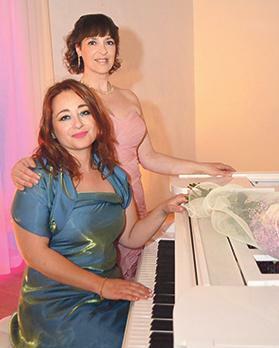 Sammut Casingena will be accompanied by pianist Ramona Zammit Formosa. A free guided tour of the monastery museum will follow. Proceeds from the event will go to the restoration project of the Augustinian Monastery. For more information, call 7968 0952 or e-mail baroccomalta @gmail.com. Tickets can be obtained from the venue half an hour before the concert begins.